The idea for 2014 was to post once every two weeks with recommendations from my recent reading, but I've read so much brilliant stuff recently that it would have been a ridiculously long post! Here's the MG ones, YA will come tomorrow or Monday. 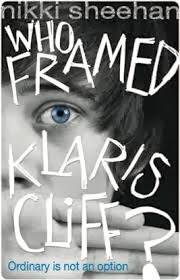 Title: WHO FRAMED KLARIS CLIFF? Why I Read It: Review copy, requested because it sounded hugely imaginative. Once upon a time, no one thought of imaginary friends as evil. They were just there until you grew out of them. But then Shorefield happened, and people with imaginary friends started to get looked on with suspicion. Worst of all is an imaginary friend who's gone rogue, doing mischievous things and talking to someone other than their person. So when 7-year-old Flea Cliff's friend Klaris starts making contact with his next door neighbour, 13-year-old Joseph, people become concerned. So concerned that if Joseph and Flea can't prove Klaris isn't a rogue, they might lose their imaginations completely. This is one of the most interesting ideas I've seen for ages, and Sheehan gives us a charming story which is in turns playful, thoughtful and surprisingly tense. Joseph is an excellent main character, and I liked his relationship with his dad, a single parent since his mum left. I also thought that the Cliff family were well-written and enjoyed the relationships they had with each other and Joseph. It's also a pacy read with a really clever, twisting plot, and the ending absolutely took my breath away - it's both unpredictable and really well done. Definitely one of the best conclusions to a story for this age group that I've read! This is really good, especially for a debut author, and I'm looking forward to seeing what Sheehan does next. Why I Read It: Review copy, requested because I'm trying to read more MG contemporary and with Hachette pushing it as a 'Goodnight Mister Tom for today' it sounded interesting. Grace and her mum live together alone. Her dad used to be around but left after her mum found out she had a lump. Grace is sure that it's just an injury from dancing so much because her mum loves having fun, but Mum's still going into hospital. 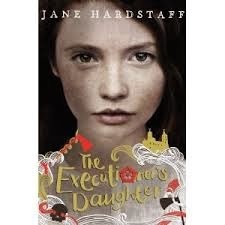 With Grace not able to stay by herself, she's sent to live with her estranged grandad on his Yorkshire farm. Missing her mother and not getting on with her grandad, she's saved from loneliness by neighbour Megan and her pet pig Claude. 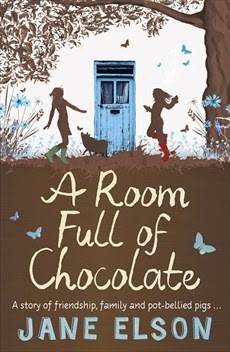 The two girls strike up a firm friendship which is the only thing that gives Grace something to smile about as she's getting bullied at school, but they have to keep it secret from Grace's grandad, who doesn't like the older girl. With Megan's help, can Grace get to see her mother again? I wasn't overly keen on this one originally - Megan's dialogue seems to waver between really Yorkshire and not-very Yorkshire a bit, which was a little offputting - but it actually hooked me in relatively quickly. The friendship between Megan and Grace is at the heart of the book (more so than the relationship between Grace and her grandad for most of the time, which seems to make the Goodnight Mister Tom comparison a tiny bit misleading) and is very strong. Similarly, the busy life of Megan's family is well-portrayed and makes a good contrast to Grace's grandad's loneliness. Grace is an excellent narrator, as well - I tend to find that when the reader knows more than the narrator it can be an issue as sometimes the main character just seems clueless. Here, her constant insistence that her mum got her lump dancing rather than it being anything worse is a great portrayal of someone in denial about something she can't bring herself to handle yet. As you might expect from the subject, it's also very, very moving - I seem to cry a fair bit while reading these days, but only ever at YA. This one didn't quite get me to tears but it wasn't far off, with a climax that's both exciting and heartwarming. This is definitely one you should be keeping an eye out for, and again, I'll look forward to more from Elson in the future. Obtained: Review copy recieved from the publisher Egmont (via The Bookbag) in exchange for an honest review. Why I Read It: Review copy requested due to an excellent-sounding premise. One of the best opening chapters in recent memory leads us into an excellent historical adventure. Full review at The Bookbag.